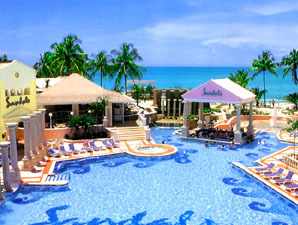 You're invited to attend a night in the caribbbean as Sandals launches two new resorts in the caribbean. Its a great time to ask your questions as to which resort would be best for you to honeymoon, or vacation too. Join us on February 19, 2014 to learn more about the all inclusive resorts in the Caribbean. This will be a fun filled night with some great booking offers. Door prizes, snacks and more.